Christmas in Guatemala can be an extraordinary experience, depending on where you visit. 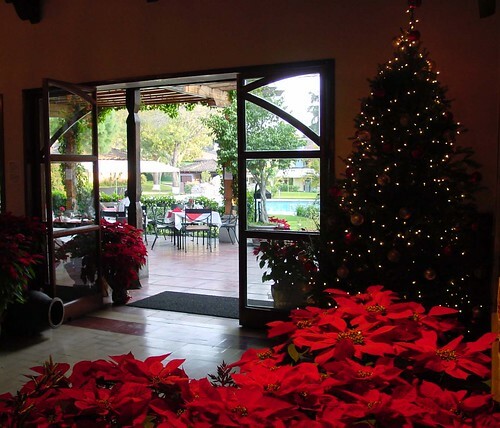 In Guatemala City and other Spanish dominated areas, Christmas follows the familiar European model, while in the highlands of the Sierra Madre mountains, Maya influence creates a unique holiday season. December 21st marks the birthday of Santo Tomas, patron saint of the Quiche Maya market town of Chichicastenango. Festivities are centered on the square in front of the church, where hundreds of costumed dancers perform amid a riotously colorful crowd of tightly packed Maya onlookers. Try to stay in the back of the crowd. Since most Maya range from small to tiny, you will have an unobstructed view. Throughout the highlands you will see traditional symbols like Chistmas trees, wreaths, and poinsettas interspersed with 5000 year old Maya plant symbols relating to the wayeb (5 bad luck days tacked onto the end of the Mayan calendar).